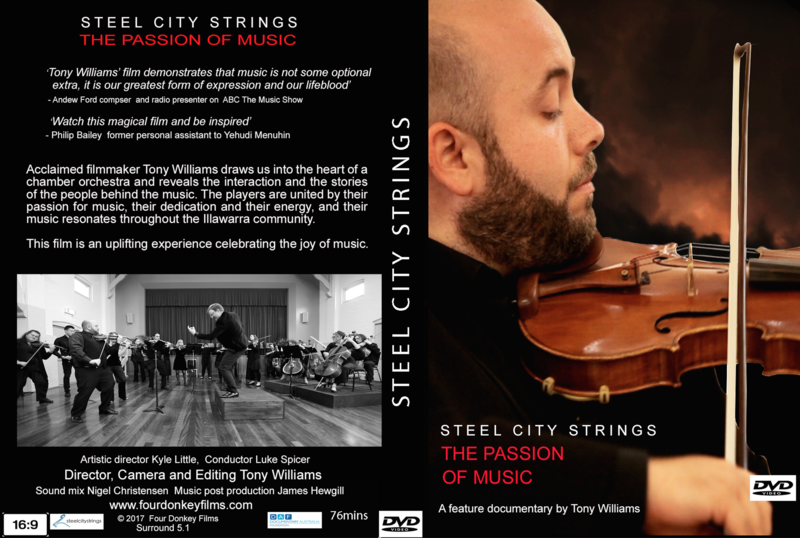 Acclaimed filmmaker Tony Williams draws us into the heart of a chamber orchestra and reveals the interaction and the stories of the people behind the music. The players are united by their passion for music, their dedication and their energy, and their music resonates throughout the Illawarra community. This film is an uplifting experience celebrating the joy of music. To order & pay by post click here for details. We are sorry but we do not take telephone orders. Terms and conditions click here.